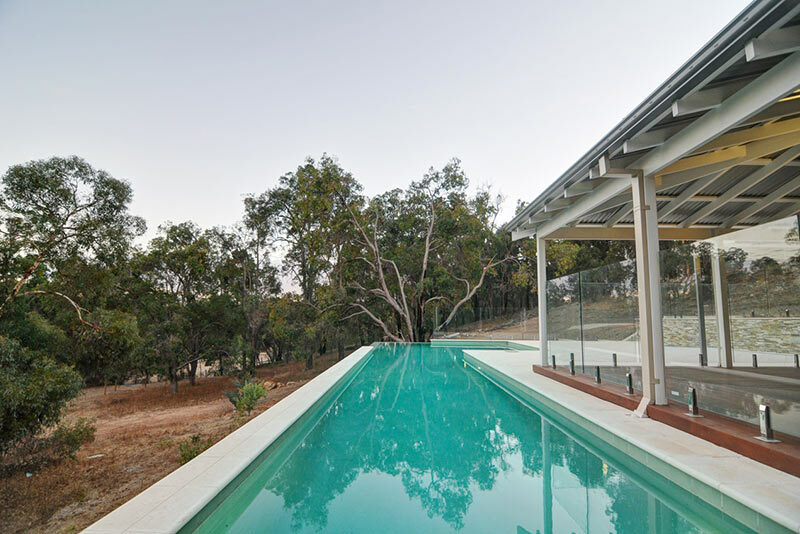 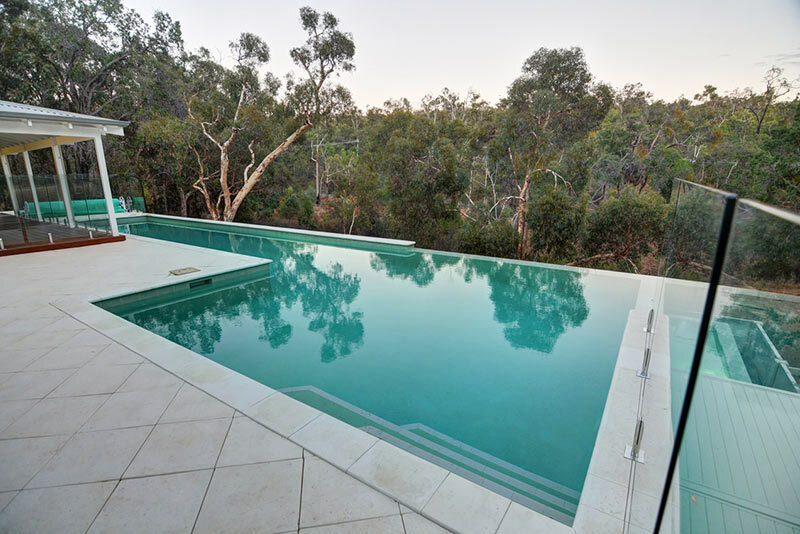 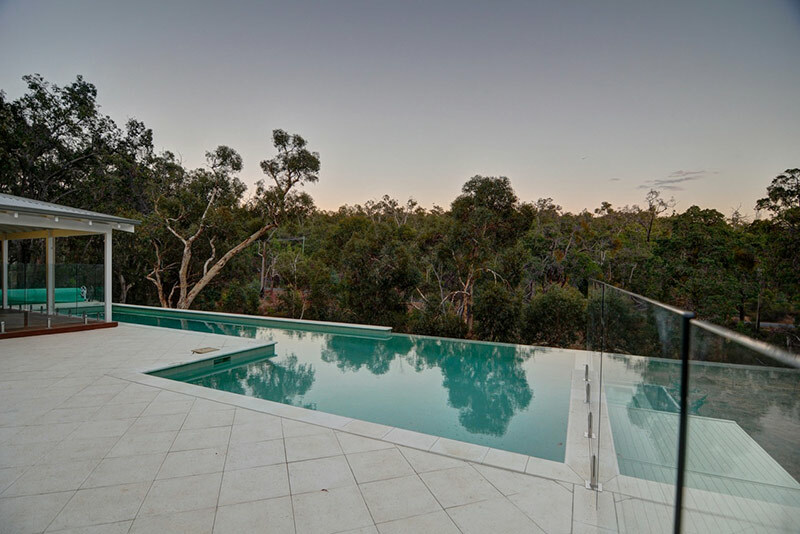 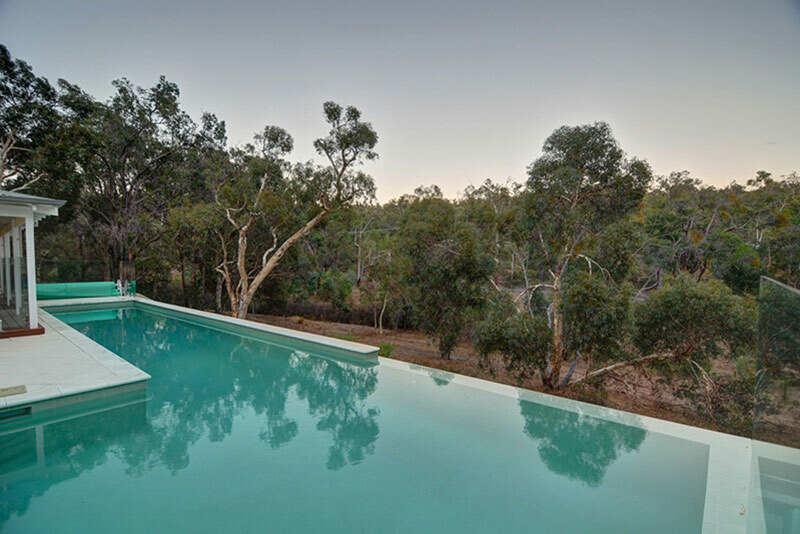 This infinity edge lap pool overlooks a beautiful natural bush setting. 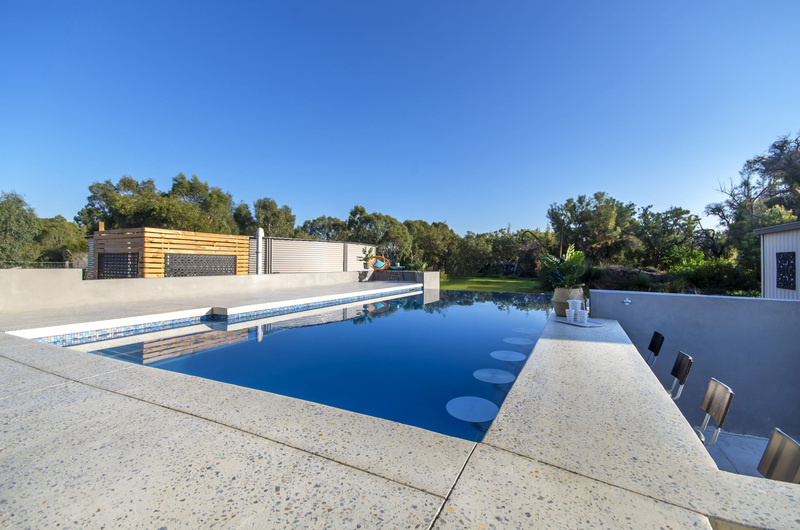 The 15m length of the pool allows the client to maintain their active lifestyles and the swim out provides a perfect spot to relax and take in the surrounds. 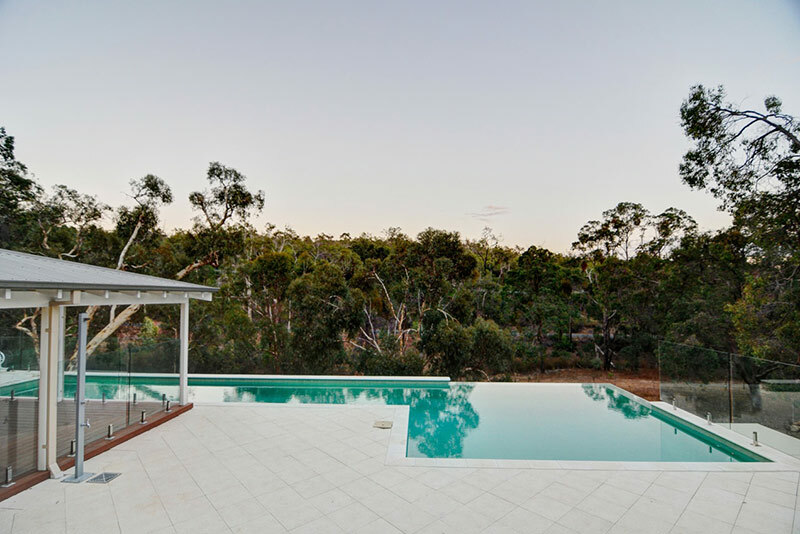 The internal finish perfectly complements the natural hues of the property, whilst the exterior spillover is clad with stacked stone providing a rustic effect and random water flow down the vertical face. 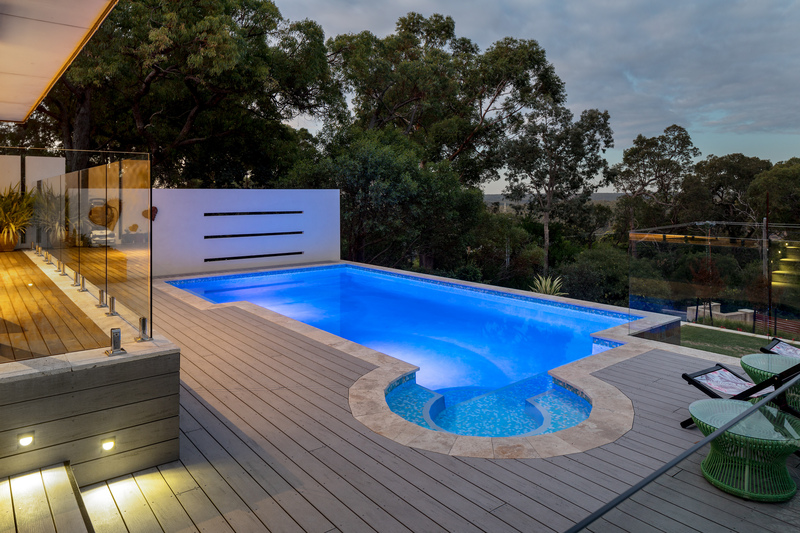 Extensive LED lighting was incorporated in both the pool and spillover trough providing an illuminating display when viewed from the front boundary. 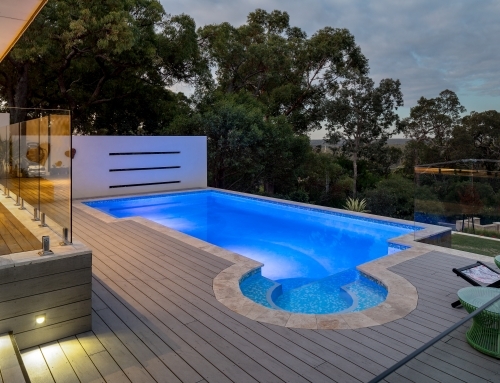 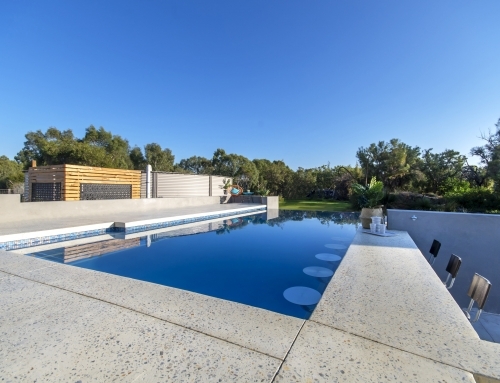 Pools by Design were the proud recipients of a 2014 SPASA WA award for this stunning infinity edge pool.